HappyHeadbanger Fest 2016: Live at Elbo Room, September 3rd. On September 3rd, 2016, history was made as the first-ever Happyheadbanger Fest was held in Chicago at the Elbo Room on the north side of the city. 5 bands came out and played their hearts out for the faithful followers of independent music who came, saw, and rocked out with them. The evening was recorded live, and may be available in the future either through this blog or directly through the bands who performed. For now, I'll review the music that was played on this night. The opening act was Fist to the Sky, the band who won my Independent Band of the Year contest in 2012. Brothers Mike and Phil Sylvester played an 'acoustic' set to open the show, as their drummer was unavailable for this night. They started off the night with a cover of Lynyrd Skynyrd's 'Simple Man'. They actually sounded close to the Shinedown version of this song. From there they mixed it up with some of their old songs, some newer original songs, a couple more covers, and even a song or two from their own side-projects. Third band up, right in the middle of the line-up, was MEDIUMS. This was another change of pace for the evening. 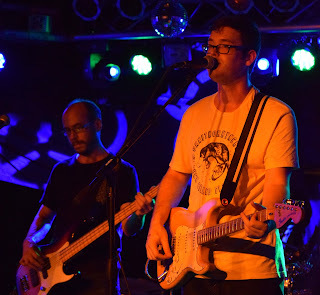 Mediums are a blues-rock band who have already drawn comparisons to Ben Folds with their sound. Having just started playing shows earlier this year, they filled in on short notice for another band that had to cancel. They kept things up-beat and kept the crowd into the music. They were quite entertaining, particularly their guitarist Henry Van Loon, who played a Hendrix-ish guitar solo at one point, complete with teeth-picking and behind-the-head playing. Even when one guitarist had a string break during their set, the rest of the band improvised a drum-solo and jam session while he re-strung his instrument, and they never missed a beat! The penultimate band of the night was Scars Of Armageddon, the current Independent Band of the Year on this site. They also played the most intense style of metal thus far, and they melted faces with their shredding progressive power metal. I recently reviewed their debut CD Never Sleep... Again, and they played 2 tracks from that release, including my personal favorite, 'Our Dying Day'. They also played several new songs from their follow-up CD which they are recording currently. Fists were pumping, heads were banging, and the crowd's energy was at its peak thus far. Last but not least, was Proudest Angel, a Chicago-based metal-rock-punk band that gave the first ever HappyHeadbanger Fest an energetic and thrilling final set. Prior to their latest release, The Soundtrack to Your Next Bad Decision, Proudest Angel last released new music back in 2003. They played a couple songs from both their newer and older releases, but they also surprised us with a cool cover of Stabbing Westward's 'Shame', cleverly arranged as part of a medley with their own original song 'Starlight'. They hit us early and often with heavy riffs and powerful vocals. They closed their set with one of their older classics, 'Brink'. And then it was in the books. HappyHeadbanger Fest 2016 had become reality, and hopefully marks the beginning of a tradition. In any event, this show was filmed and recorded. There may be audio and/or video material from this evening of independent rock and metal music available for you at some point in the future. 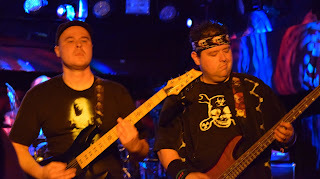 Keep following Happyheadbanger.com, and keep up with local and independent bands near and far. Support your local scene wherever you are... Happy Headbanging to all! HappyHeadbanger.com would like to congratulate Kryssie, from Evil Engine, for landing a spot on CBS's Big Brother: Over The Top. First episode premiers Wednesday September 28th at 9pm central time. There will be weekly 'episodes' Wednesday evenings, however it seems that Big Brother: Over The Top is intended more as a live event, to be accessed around the clock by CBS All Access subscribers. Curious? Learn more Here. The HappyHeadbanger connection with Kryssie goes back to 2009 when I first heard of the band DEADMANSWAKE. Kryssie sang lead vocals for this band prior to her current punk-rock band Evil Engine. 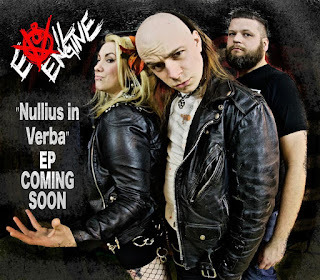 Both bands have been reviewed here at Happyheadbanger.com, and I look forward to reviewing Evil Engine's debut release, 'Nullius In Verba' soon after it becomes available. 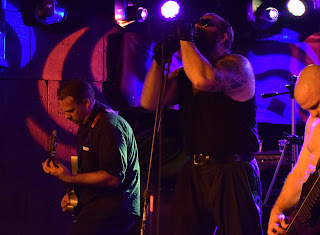 DEADMANSWAKE were my 2010 Independent Band of the Year, and Evil Engine will be featured this year, polling to open early in October... stay tuned for details. DMW still holds the record for most votes received by a single band in this annual contest. Will Evil Engine fare as well this year? Time will tell. For now, enjoy Kryssie's 'introduction' video, and root for her in this Big Brother: OTT season! 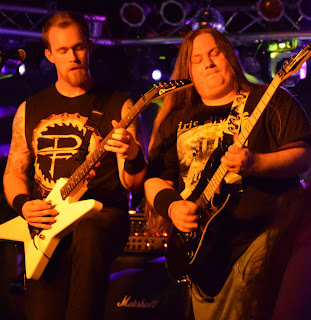 Proudest Angel are a re-formed groove-metal/punk-metal band from Chicago. Performing at the first-ever HappyHeadbanger Fest, they're promoting their first album of new material since 2002. Entitled 'The Soundtrack to Your Next Bad Decision', it is available on their bandcamp page to stream or download. Here is their new music video: Civilly Feral. Scars of Armageddon, The current Independent Band of the Year, are a power-thrash metal band, incorporating a classic metal vocal style akin to Iron Maiden or Metal Church. Check out this youtube audio track from their full length album Never Sleep... ...Again.